The best way to fight commoditization? Sit down, look your client right in the eye and say: “Of course we cost more.” Consider the fees that your firm has paid out to other professionals in the last six months. How much does your accountant charge per hour? Your outside counsel? one day—minimum. That trainer likely charges for travel as well, and maybe ancillaries like a print manual. Architects and engineers are willing to pay good money for professional services. Why, then, is it so difficult for them to charge more for their licensed, professional services? their design services according to value, not cost. In value pricing, price is determined partly by the value the client perceives in the service to be delivered, and partly by your cost and profit considerations. understanding of client needs, constraints, and competitive threats. Why then is value pricing not broadly accepted and practiced? Because it demands shifts in attitudes, perspectives, and effort, all of which challenge the natural inertia of wanting to continue doing what has always been done. In the professional design arena, it is typically perceived to be safer to follow clearly defined existing procedures than to adopt new and untried ones for fear of offending clients. • The clarity with which the design professional defines his or her proposed contribution. • The extent to which the proposal appears to reflect an understanding of current client needs. • The extent to which the proposal convincingly contributes to the nominated objectives in the judgment of the client. • The relative importance to the client of the nominated objective(s). Don’t fall into the commodity trap—value price your way out of it. In 2013, Perteet was also awarded a Platinum Circle of Excellence Award. 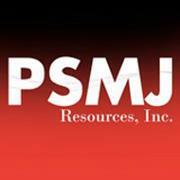 PSMJ would like to congratulate Perteet on this great achievement! PSMJ recently had the pleasure of chatting with Perteet CEO and President, Crystal Donner, to discuss her firm’s amazing success. To what do you attribute your continued success as Platinum Circle of Excellence firm? That’s an easy question. It really is about the people that we hire—empowering them to be advocates for their clients, but mostly trying to find people that are dedicated to public infrastructure projects and making the community better. That’s really important for us. What would you say that your firm does differently? We are a 100% ESOP company—something that I’ve been hearing more and more about—and it’s been really important as we’ve moved through some difficult times to have people who view themselves as employee-owners, so it’s not a top-down firm, it really is bottom-up, everyone contributes to success, everyone brings ideas forward. I really think that is one of our keys is that we have a whole workforce that act and do work as owners themselves. We are about 65 people right now, very family-focused, not in a matriarchal way, but really in a commitment to one another, do the best for yourself and for your colleague, and we really treat our clients that way, too—we bring them into the fold, so I think that’s something that makes us different. Can you speak a little more about your client service? All of our projects that we deliver are really about building community and public infrastructure projects. The rewards, in addition to solving problem and working for firms, is really about making improvements in our community, so we have really community-focused employees, so I think that really sets us apart and attracts clients to us as well. Perteet is a 100% employee-owned engineering, construction management, and surveying company based out of Everett, Washington. Among its goals are to making their community a better place to live and grow; use leadership and solutions to enhance and improve the quality of life in the communities they serve; and offer services that add to the betterment of the physical community. How do we find effective directors? You need to look for someone who knows the industry, who has served in the role of the director before, someone who has a big-picture view, who understands how to govern a business and who has good external market knowledge and good connections (preferably). 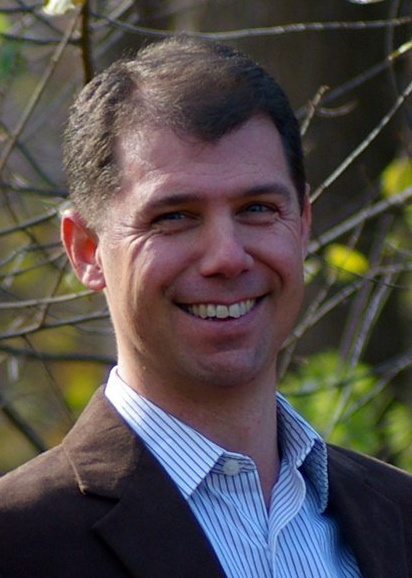 How do you get people interested in becoming a member of the board of directors? Make sure there’s something in it for the director—not necessarily compensation. There are the other people you could meet, connections you could make, the subject matter of the company itself. Financial gain depending on what the business of the company is. Narrow down the “what’s in it for them” angle. Who are the types of people you never want to seat on your board? Someone who’s too narrow minded, too set in their ways—internal or external—instead, it should be someone who really looks at the company, looks at the company’s best interest and understands the shareholders’ role and gives them their voice and protects them. How do you convince internal directors of the need for outside directors? If they have grown up in the company, and they haven’t had much exposure except what they know in their own company, it’s a great place to get external inputs whether it’s in the business realm or political. I found that access is always an important consideration, and by access, I mean people who know other people who can open doors—doors that might not be able to be opened by the people who have grown up in the company and don’t have those access points. What’s a good size for a board? Smaller is better than larger: 5-7 people; I get worried if boards are bigger than that. It’s harder for more people than that to agree on something. You want people who are engaged and empowered and knowledgeable. Boards should also be looking at a board’s succession—board should be looking early enough to make sure they see how a board works. It’s important to grab technologically savvy individuals because technology is such a huge part of business, and new leaders need to have a broad perspective on where the company is going with technology. Dire prognostications are standard operating procedure in the blogoshphere. Example: a few years ago I read that Search, which is more relevant than ever, was dead. Americans need to be always onto the next great wave, whatever that is, lest we be left behind or be perceived as yesterday's news. We're all journalists now so I salute a good headline when I see one — hyperbole aside — so let's see what's behind this one. § According to Webtrends, nearly 70% of Fortune 100 corporate websites experienced declines in traffic, with an average drop of 23%. These statistics, which seem to focus on the largest companies, which is not where most of us work, don't suggest the death of the website so much as the need for better understanding of and focus on audience needs and providing content that is reflective of that. Audience focus, or the creating of more personalized experiences is the future of the website. Big companies like Boeing, Siemens and Coca-Cola are now actively seeking audience participation to improve their website's relevance. They are also leading with highly produced customer story videos and prominent links to their well-staffed social channels to enable ubiquitous sharing. My own experience is that most B2B firms—especially those in the A/E industry--are still quite enamored of their services, want them emphasized on the website, feel that education, while important, is a distant second on their websites, to lead generation. So, in 2014, we still need to lead discussions about the importance of focusing on the audience, addressing their pain points and providing relevant customer anecdotes. While it is imperative for A/E firms to continually look at the B2C world and the Fortune 100, which is where marketing trends often originate, there is usually several years lag time before B2C or big company trends are absorbed and reflected in A/E-firm websites. Compounding this is the generational reality that many individuals in A/E leadership positions today are not digital natives and have not yet really become comfortable with the notion that the website is becoming "A desination" within a network of customer channels, rather than "THE destination." We are believers in multi-channel marketing, personalized web experiences and the website as a continual process rather than an one time event. RainCastle is often invited to bid on redesigning an A/E website and often an A/E brand in which the client presents the website as a finite project to be completed in a specific timeframe. The assumption is that we will create a better user experience with better content, navigation, design and content management capabilities. What it fails to acknowlege is that in order to stay relevant to their audiences and to Google, maintaining a relevant website is a constant process of creating new content, measuring its effectiveness and creating additional content based on analysis, to nurture prospects through a sales process, or others through an education process, and to connect with them in meaningful ways, across channels. This work is never "complete." In the B2C world, the website is becoming the most ubiquitous entry point rather than the final destination in many cases. This will be true for the A/E/C industry as well, over time; change will be an evolution not a revolution, at least for the next several years. 2014 and beyond are looking pretty good for the website. We look forward to creating more and more personalized experiences across channels, over time. Far from dead, the website is only now really coming to life within B2B companies in general, and the A/E/C industry in particular. Follow RainCastle’s blog at: http://blog.raincastle.com. How Much for Your Retirement? While many architects and engineers indicate they want to keep working “forever” and they plan to pursue projects that enable them to keep working past a normal end-of-career age, there are individuals who plan to retire. Design firms, with a few exceptions, have tended to focus on current compensation rather than investing in retirement plans. Over time, the 401(k) has become the overwhelming favorite type of plan among design firms. There are some ESOPs and some Profit Sharing (only) plans, but the “traditional” fixed pension is definitely a thing of the past today. The 401(k) is, of course, primarily for workers to direct a portion of their wages into a retirement account, which makes this part of the plan a zero-cost item for the firm. Firms incur expenses when they match all or a portion of employee contributions, or they make a contribution to the profit sharing part of the plan of some percentage of employee salaries. Our PSMJ Financial Performance Survey over the years has found that firms have averaged spending between 3% and 4% of salaries as retirement plan contributions. How does that compare with other types of firms? A recent Business Week article defined how several companies determine contributions to employee retirement plans. The results ranged from a high of 15% of salary with several more in the 9% to 12% range among large manufacturing companies to lows in typically low compensation industries (grocery, restaurant) of 1.5% to 7% of salaries. Obviously, these are only a small fraction of companies, and thus the examples may or may not be representative of all companies. There also are no government employers where the traditionally defined benefit plans still predominate. However, we have seen limited government data that indicates retirement cost of 18% of wages, or higher. For those states and cities with large pension obligations, primarily due to lack of funding in past years, the government payment can exceed 50% of current salaries. Clearly, the A/E community average is nearer the low end of contributions. Of course other employers typically do not have wages as 70% of their total costs of doing business. Thus they can pay a higher percentage of their labor costs into retirement plans without the cost representing a very high portion of total costs. It appears from the contribution level that A/Es have a fairly high reliance on Social Security to provide income for retirees as the amount contributed by companies is not sufficient to provide adequate income in retirement. Maybe it is good that so many of our professionals expect to keep working well past the “normal” retirement age. Blazek’s actions opened up a conversation on multiple blogs and news outlets about online behavior and LinkedIn etiquette for professionals . With over 225 million registered users – and 2 new users every second – LinkedIn is still one of the fastest growing online social networks. But because it’s still a fairly new service and it attracts a lot of young adults – with nearly 30 million students and recent college graduates – not everyone knows how to behave on the site. Here are 8 common questions about professional protocol on LinkedIn. That defeats the purpose! Make your connections list public. The purpose of LinkedIn is to network and to help connect professionals together. According to SocialTimes 61% of people use LinkedIn as their primary professional network. Don’t horde your connections. You sit down confidently, your body humming from the obvious success of your presentation. You smile inwardly, glad you’re so well-prepared. You whip out your list of questions and start in, asking questions about the company, the project, the team, etc. Sounds like a dream situation, right? Maybe. But who’s to say the person right before you (or right after you) didn’t have a similarly successful presentation—and ask the same questions as you? This challenge may be anything and could vary wildly depending on the client. Asking what your client’s biggest challenge is—and therefore implying that you may be able to help solve it—may seem like a hefty task. But giving your client the opportunity to share with you, in as transparent terms as possible, their biggest concerns will tell you not only how you can best serve your client’s needs but also give you great insight into what your future working relationship may look like. You can see how collaboratively you work together and how willing you both are to listen to each other. There’s no better way to demonstrate your collaboration and problem-solving skills first-hand than to put them into action. What if you don’t know how to solve their problem, right then and there? That’s OK. At least you now know what it is—and that already gives you a significant advantage over your competitors. So rip up that old list of questions. Ask the one question that gets to the heart of the matter. Last week, the U.S. Green Building Council (USGBC) released its ranking for the Top 10 LEED-certified states—those states that best exemplify green, sustainable design. Highlighting those regions around the country that are leading the way in sustainable transformation, the list focuses on states that encourage the construction of LEED-certified spaces that save energy, reduce carbon emissions, and contribute to an overall healthier environment. Using U.S. Census Data from 2010 through 2013, the list’s top position is held by Illinois, certifying 171 projects, representing 229 sq. ft. of LEED-certified space per resident. Massachusetts made the fourth spot on the list, with 101 LEED-certified projects, including the LEED-platinum certified Massachusetts Green High Performance Computing Center in Holyoke—the first university research computing center to ever achieve Platinum status. Altogether, more than 20,000 projects representing 2.9 billion sq. ft. have been LEED-certified worldwide—and the green industry’s growing. According to McGraw Hill Construction, projects in the sustainable design industry could be worth up to $248 billion in the U.S. alone as early as 2016. For an infographic outlining the results of the list, click here. You have at least three unique differentiators! Your people. This may sound like a “Duh” statement. But how often have you struggled to find something unique to say in a proposal or presentation? If you can call out something unique about one of your staff that will be assigned to the client’s project, you have a true differentiator. The unique item may be a project,, a degree, a certification, or some other unique aspect of the person. Call out the uniqueness several places, including in bold on the resume sheet. Your project portfolio. Again, “Duh!” may be your reaction. Yet no one -- no one! --else has your list of completed projects. And along with the completed projects list should go a sterling list of references for those projects. The idea is to flesh out what is unique about the client’s project and find one of your own that closely matches. The old truism is that engineers want you to have performed the exact same project many times and architects want you to have similar but not identical projects in your portfolio. Your team cohesiveness and history. This one is a little less “duh” and a bit more on details. If you truly have a multi-firm team put together, show how you have worked together in the past as a strong and unique team. Those relationships and their duration will be unique items for the client to consider when weighing you against your competition. Of course, you must show the client why the team you have proposed provides the best value proposition. On the other side, if you have a long and successful relationship with the client organization or with key individuals in the organization, you should leverage that strength by focusing on it in your proposal or presentation. Again, the depth and levels of relationships are unique to you and your firm. Do you have other unique differentiators? Of course, and it just takes time to “peel the onion” back to discover them and how they relate to the client’s project. But if you are looking for a good place to start, use the three discussed here -- people, projects, and team -- to get your creative juices flowing. WHERE ARE FIRMS ALLOCATING THEIR BUSINESS DEVELOPMENT (BD) TIME? Each year PSMJ asks the A/E industry to answer this question in our annual PSMJ Fees & Pricing Survey. The answers may surprise you! · Mid-size firms of 101 -200 people spend nearly 48% of their BD time on RFPs. This is nearly twice the amount of time spent by smaller and larger firms. · A/E firms report spending 11% of their time on Presentations. This is nearly twice the time spent by firms in other practice areas, except Architecture with Interiors. 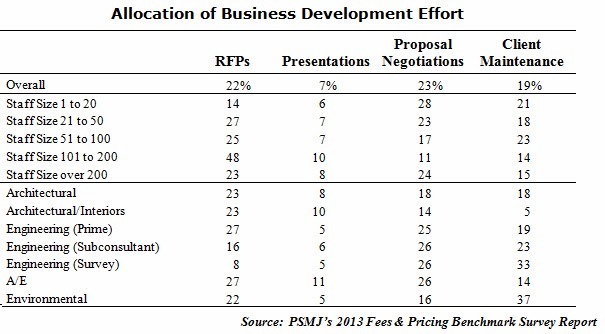 · Mid-size firms of 101-200 people spend the least amount of time on Proposal Negotiations, possibly because they are spending their time on RFPs? · Architecture with Interiors firms report spending the least amount of time on Client Maintenance, 5%. Yet these firms are on par with other firm types with nearly 80% repeat work. Each firm’s client type, market sector, and BD processes determine how to use the limited BD time to the best of their advantage. Compare your firm to the table of the top four below – maybe it’s time to challenge your current strategy. Your client satisfaction? No. The quality of your projects? Not so much. Your hit rate? Wrong again! According to the Hinge Marketing Team’s newly released study, Beyond Referrals: How Today’s Buyers Check You Out, 59.9% of buyers “check out” potential professional services providers through social media—and of that 59.9%, 70% of those buyers use LinkedIn as their primary source of information on service providers, compared to only 25% of “other social media” (including Google+, Facebook, and Youtube) and 5% of Twitter. Why does LinkedIn have such an overwhelming lead over other forms of social media in terms of instilling buyers with feelings of legitimacy toward a firm? Other notable methods buyers use for checking out professional service providers explored in the study were website viewing (80.8%), online searches (63.2%--emphasizing the need for strong SEO practices), and asking friends if they’ve heard of the firm (62.4%). Significantly, the research showed that buyers used an average of 3.2 methods each time they “checked out” a provider, suggesting that sellers must be accessible in multiple channels. · Hire an outside consultant to create for you a killer, user-friendly website. · Hire an outside consultant (an employ an internal marketing analyst) to ensure your website is as SEO-friendly as possible and showing up on Google as high up as possible. · Create a company LinkedIn profile that you use as a forum to engage your audience and distribute content—and get your CEO involved! He/she should be putting out new information frequently, representing your company as a thought leader in its field. What’s the Right Way for an A/E Firm to Use Instagram? Instagram should be part of your firm’s social media arsenal – especially now! Facebook made big news back in 2012 when it purchased Instagram for $1 billion. They saw the social media tsunami coming. Now, only two years later, engagement on Instagram is 15 times that of Facebook. In fact, it’s the fastest growing of all mobile apps, having increased by 66% in 2013 to over 30 million users. 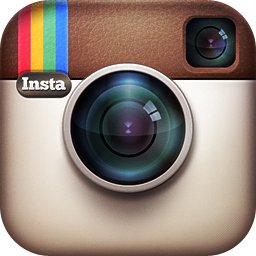 Instagram is a mobile photo-sharing app. It’s available for iPhones and Droid devices, but not for tablets or computers (however, accounts and settings are viewable on most browsers). It’s a great, easy, and fast way to share you firm’s projects and culture, and not just with current and past clients, but with everyone – your employees, your friends and family, the world. You could use Instagram to showcase your firm’s portfolio, but that’s not really going to interest people and increase your “followers.” Keep in mind that Instagram photos receive around 1,000 comments and 8,500 “likes” per second – that’s 1.2 billion per day! People that are drawn to your account don’t just want to see your firm’s work, they want to see your firm – your employees, your fun, your thoughts and ideas. In addition to posting gorgeous photos of your completed projects, here are seven other ideas for Instagram pics. • Projects in progress. Post photos from a construction site, of structural connections or of your employees interacting with the contractors. • Field trips. Do your employees periodically take trips to factories or materials suppliers as part of the professional development? Take pictures of those trips and post them. • Office parties. If your office is fun, tell the world about it. Posting pictures of your principals and employees being quirky at a party isn’t unprofessional. It’s human. • Meetings. Whether they’re serious or silly, internal or with clients, it’s nice to let people know that you work collaboratively. Take photos during meetings, and share them. • Sketches. Sometimes your work-in-progress is more interesting the final product. If someone in your firm does incredible napkin sketches, snap some shots of them. • Inspiration. You don’t always have to share photos of your own firm’s work. If you find another building or detail interesting, share of photo of it and let people know why you like it. • Your office and neighborhood. Where you work can be just as interesting as how you work and your projects. Post photos of your streetscape or frequented restaurants. Don’t just post photos and hope that people will discover them. 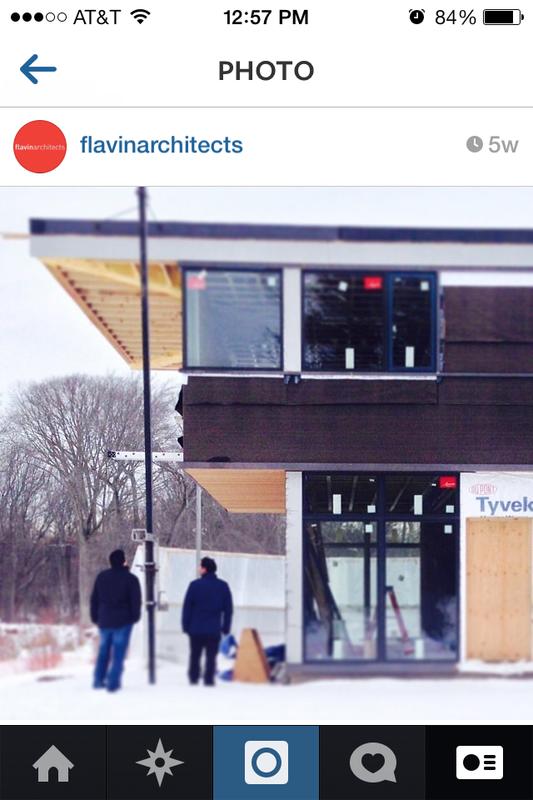 Use hashtags like #modernarchitecture, #officeparty, #newconstruction, etc. in order to grab more Instagram users. The more hashtags you use, the better. If you’d like to see what others are doing, here are four small-to-midsize firms that are using Instagram. Check them out.